In an age of computer design and laser etching, Thom’s hand craftsmanship is almost an anachronism. Each piece is done the old-fashioned way: an idea goes from sketchbook, to a shape and finally to the engraver’s bench. In even the simplest designs, the bold, confident lines and fine details that only hand engraving can achieve reveal the heart of the artist. Thanks to the heroic character Maui in movie "Moana," the Polynesian makau, or, fishhook has found a new place in popular culture. Ancient Polynesians made makau from shell, bone or hardwood. 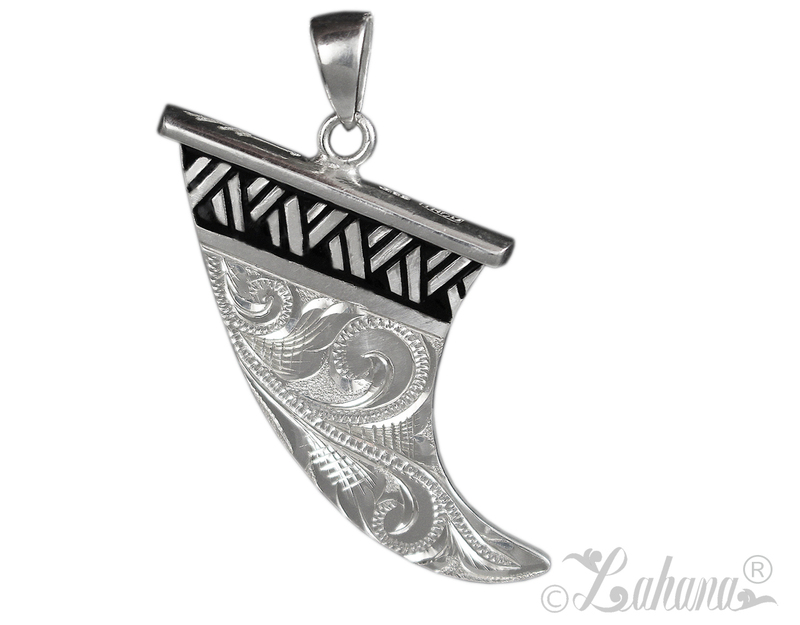 Among other things, a makau pendant, necklace or bracelet is said to represent strength and fortune, bring good luck, and identify its wearer as a provider. Thom’s handmade pieces retain the unmistakable makau shape under the luster of 14k gold or sterling silver. 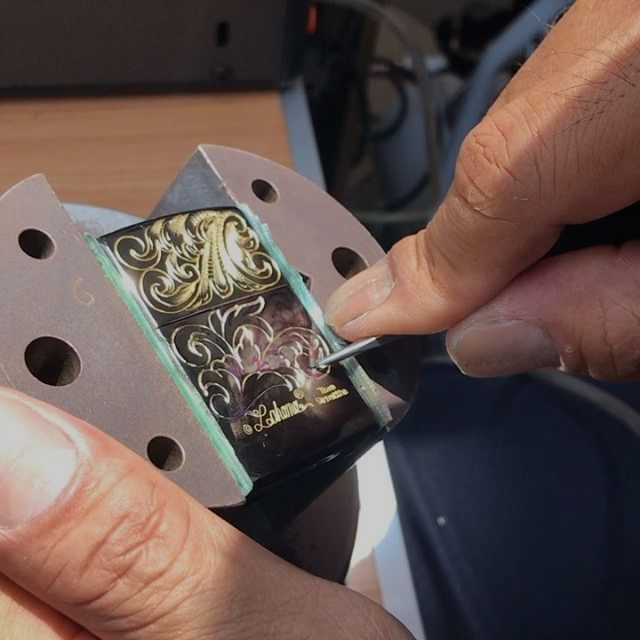 They are further enhanced by his signature hand-engraved designs, which reflect both the traditional and modern artistry of the islands. 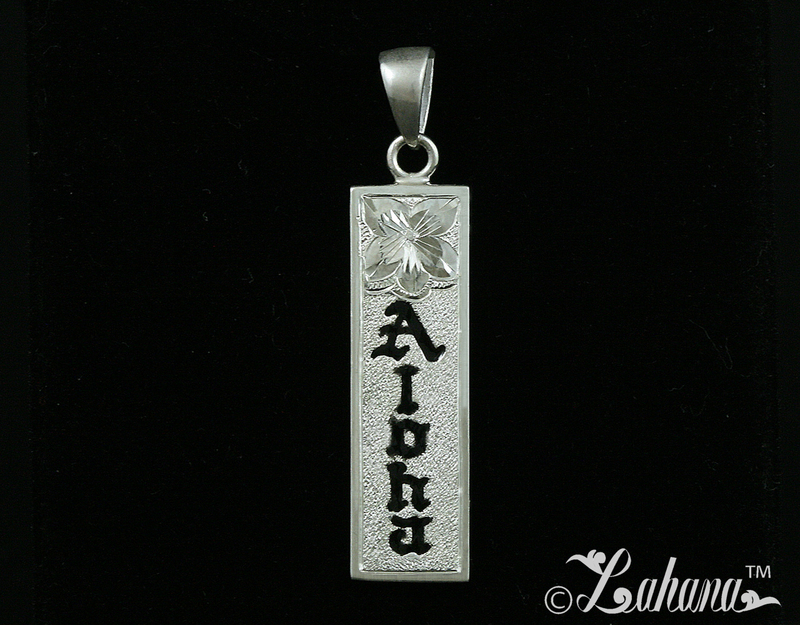 The word aloha is said to be a combination of alo - to face or address - and ha the breath of life. This word follows the traditional way of greeting, which was to touch foreheads and draw sacred breath through the nose. These days, the meaning of aloha can be as light as a casual hello or goodbye or as deep as life itself. As are people in modern times, ancient Hawai’ians were in awe of far-ranging honu’s (Hawai'ian sea turtle's) ability to tirelessly roam the seas and unerringly find their way home. They were named aumakua (guardian spirits) and revered for their grace, endurance and navigational skills. To this day, honu sightings remain happy omens. Ancient petroglyphs depicting honu still survive, and are the basis of Thom’s classic jewelry and accessory designs in gold, silver and enamel. 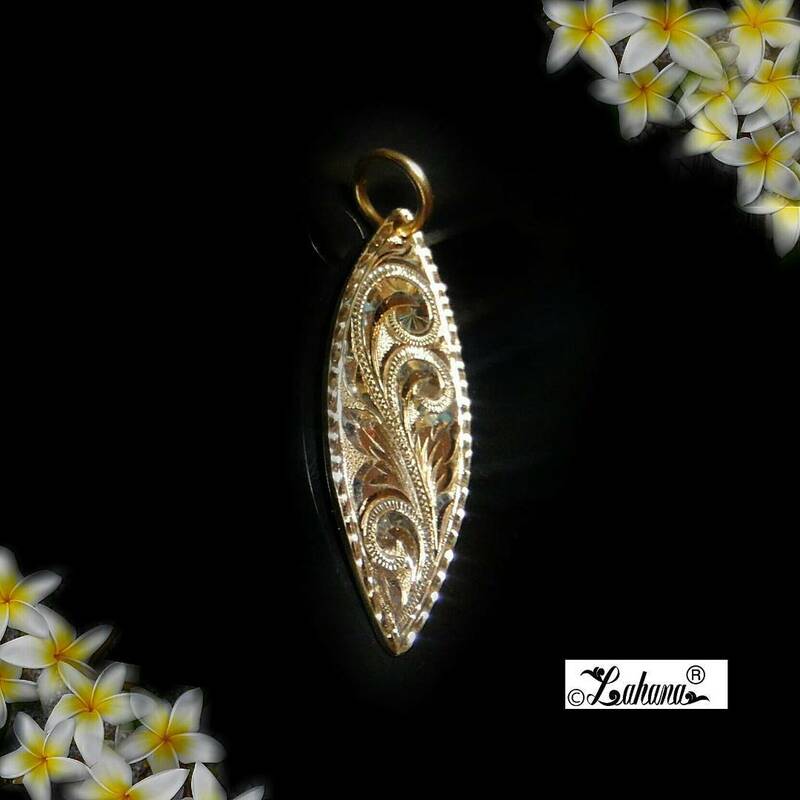 The five delicate petals of the plumeria, radiating out in simple, elegant symmetry have for centuries made it one of the most recognizable design motifs in the islands and, in Thom's handmade Hawaiian jewelry, one of the islands' most radiant stars burns brightly. The iconic island flower's bright color, pleasing shape and lustrous scent have made it a ubiquitous component in traditional lei making. 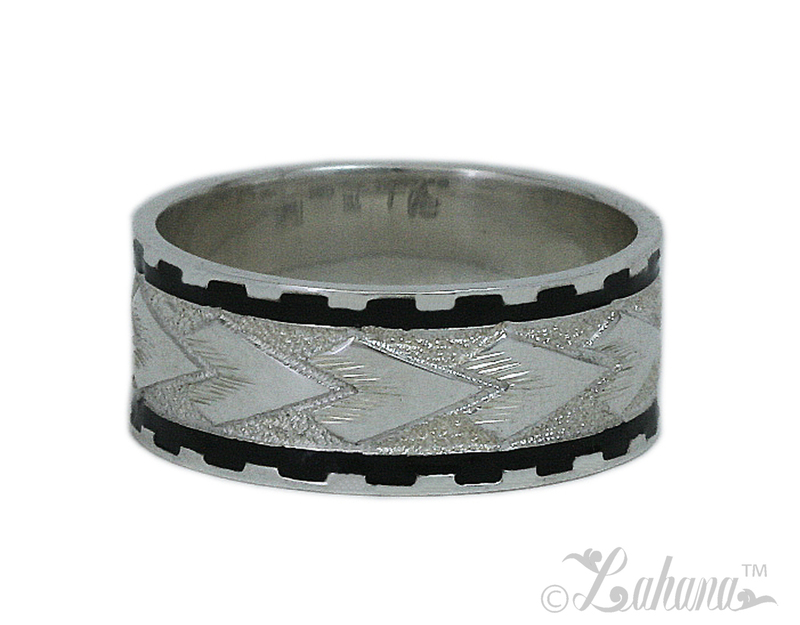 This native symbol of joy and happiness makes a perfect choice to grace a wedding band, marriage ring or special gift of aloha. The official state flower of Hawai’i, the Ma’o hau hele (hibiscus), along with the plumeria, is one of the flowers best known for use as a traditional hair adornment. As a design motif, the hibiscus flower has a more complex shape and texture, well suiting it to be an international symbol of beauty that comes alive when expressed in Thom's handmade, hand engraved Hawai'ian rings, bangles and pendants in 14k gold, sterling silver - even platinum. Do we hear wedding bells? Hawai'ian scroll work is swirls and lines intermixed with organic shapes, symbols, scripted names or meaningful words that encircle Thom’s rings, bangles bracelets and pendants in intricate patterns of life and love. 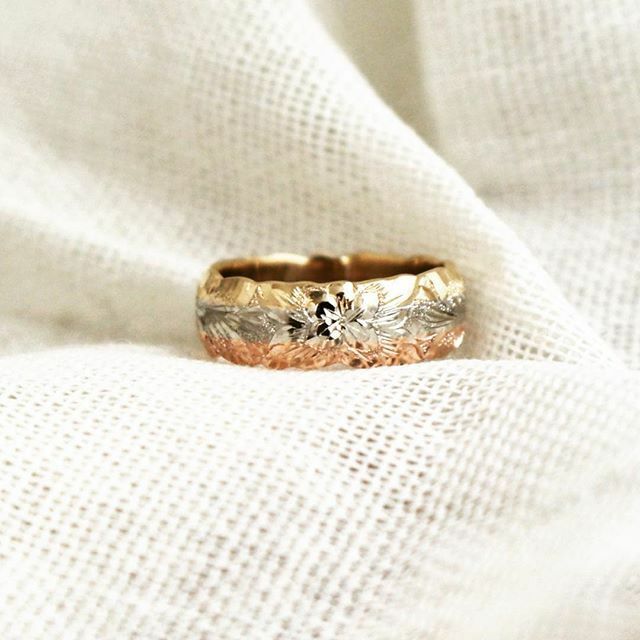 Designs can be partially or completely customized to create deeply personal messages in 14k gold, sterling silver or platinum. Thom & company will take your special day to heart and design something that's truly yours. Maile, the lustrous, fragrant jungle vine with its strong association with Laka goddess of Hawai’ian hula, was a symbol of royalty in ancient times. Beautiful arrangements of maile leaves draped over the shoulders of honorees remain a common sight at Hawai’i weddings, graduations, and other significant life events. 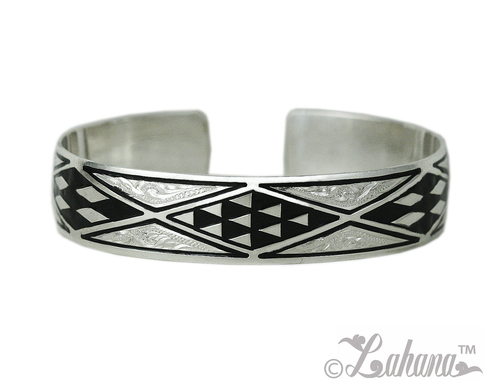 The unmistakable maile pattern makes a lovely statement of bestowed honor and respect on Thom's handcrafted Hawai'ian jewelry. Centuries ago, surfing was an activity reserved for ali’i, or, Hawai’ian royalty. The exhilaration and kinship felt by the original wave riders in pulsing beat of Earth’s lifeblood – the sea – was a deeply spiritual observance. To this day, the surfboard remains an enduring symbol of strength, freedom, and respect for nature’s power – and Thom's surfboard pendants in 14k gold, sterling silver and fine enamel pay proper homage. It is not by coincidence that the surfboard skeg – the device that allows surfers to steer their craft – resembles a shark’s fin. Like honu, mano the shark is considered aumakua or a guardian spirit in Hawai’i. 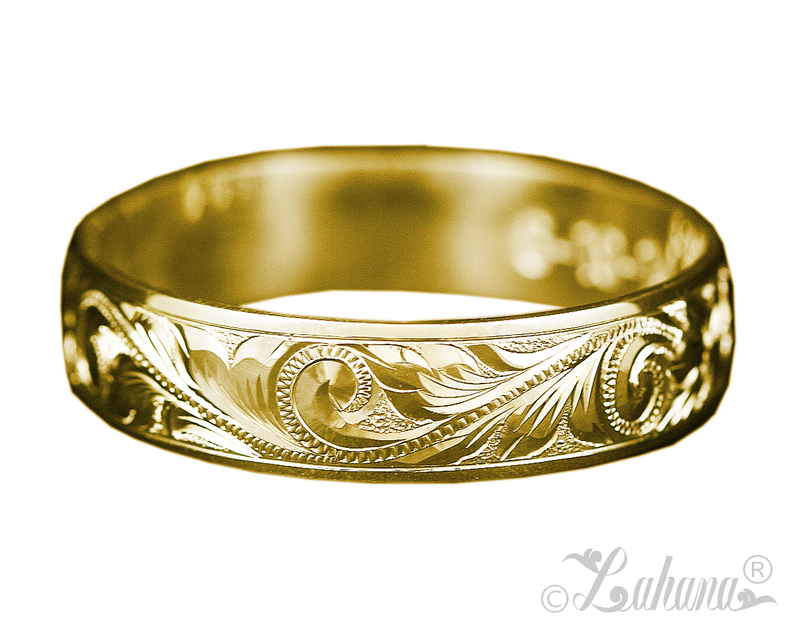 Legend has it that it was mano who first guided ancient Polynesians to the Hawai’ian islands. Whether one’s preferred interpretation is skeg or shark’s fin, the design remains a symbol of guidance and destiny. Thom's hand engraved pendants in solid silver or gold with tapa enamel accents make wonderful gifts or personal adornments for wave riders everywhere. Often seen adorning the heads, hands and ankles of hula practitioners, beautiful ohia lehua are steeped in Hawai’ian history. Due perhaps to their place in legend, fiery appearance – or both – the unique blossoms are associated with Laka, goddess of hula and Pele, the famed volcano goddess. Indeed, ohia lehua are among the first plants to thrive in areas touched by Pele. 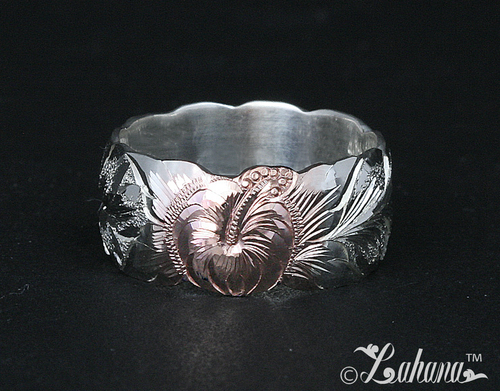 The feather-like details of Thom’s lehua designs gently flow in soft, organic waves. 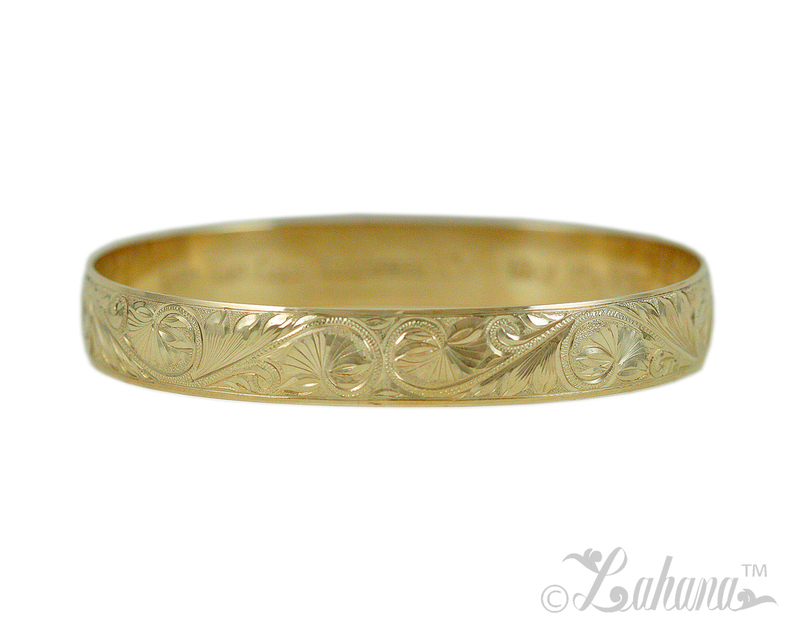 A bangle or pendant in 14k gold or precious silver makes a fitting gift the hula practitioner or admirer in your life. Few things embody the grace and spirituality of Hawai'i as well as the ancient observance of hula. 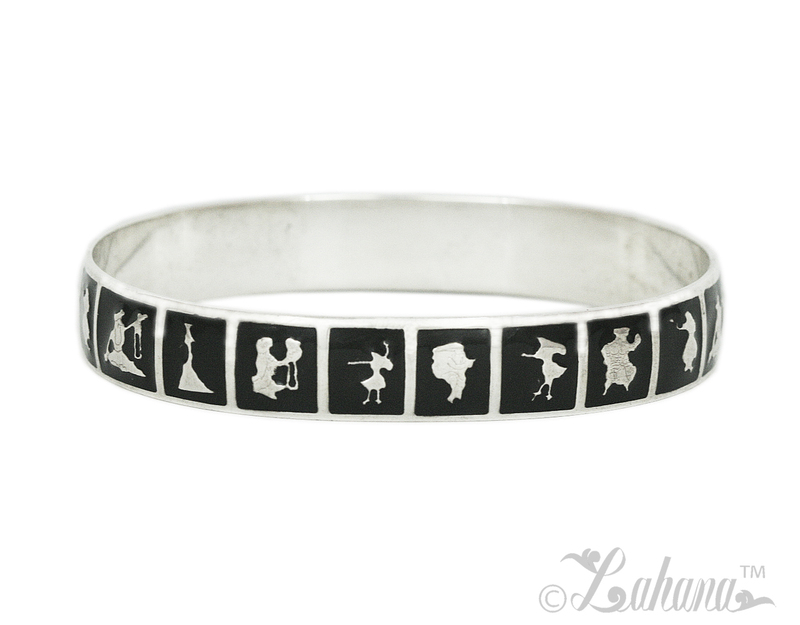 Thom's fine hand engraving brings a variety of aspects of this ancient dance and religious practice alive in precious metal. The koa (warriors) of old used a variety of hand weapons to guard their own – and to seize from enemies – the mana, or life force that was the spoil of battle held above the rest. 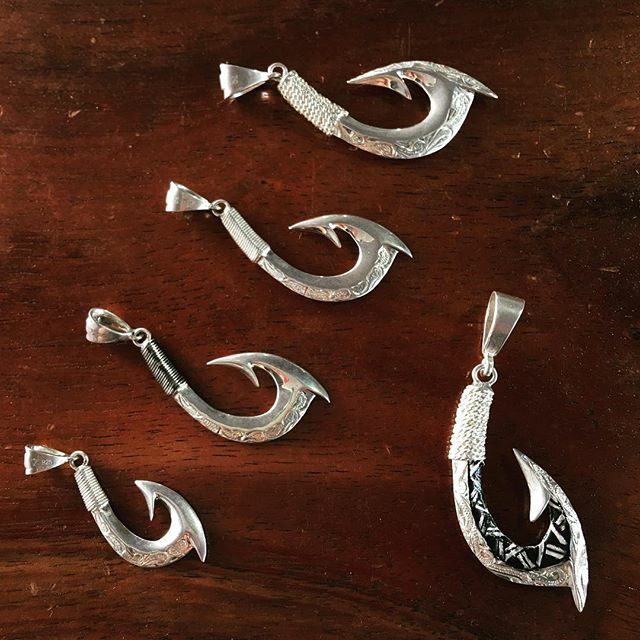 Thom’s strong, angular spear point patterns on his original Hawai'ian jewelry pay homage to this traditional symbol of courage and combat. 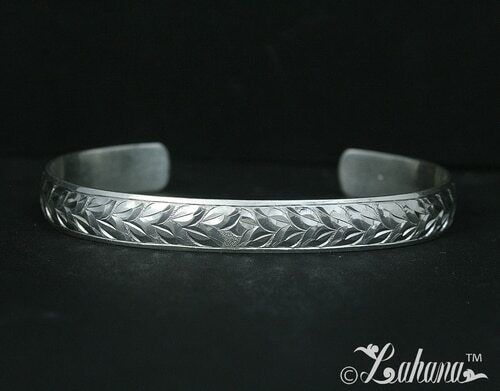 Since time immemorial, lauhala, the distinctive leaves of the hala tree, have been a basic textile of the Hawai’ians. Traditionally, this tough, fibrous gift from nature was used to manufacture flooring, hut thatching, clothing and cordage. 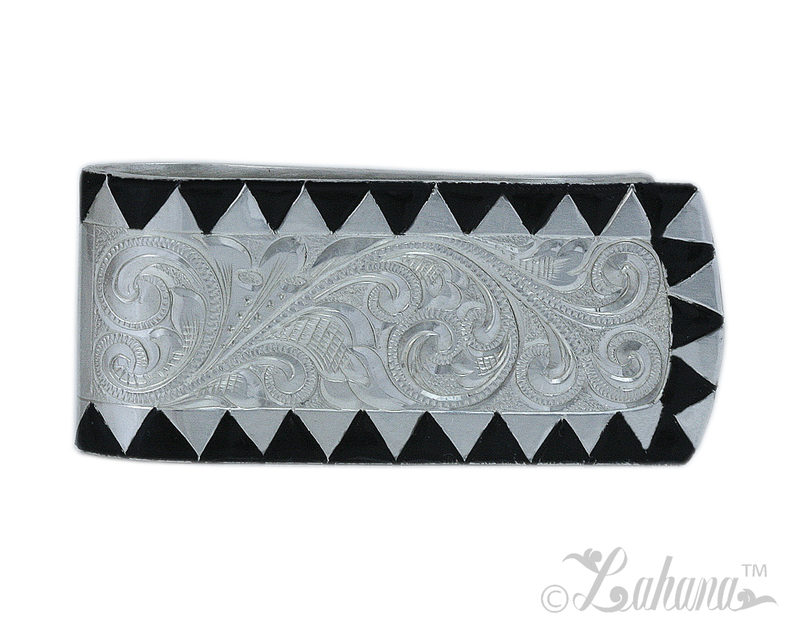 Lauhala were literally woven into the fabric of daily life. 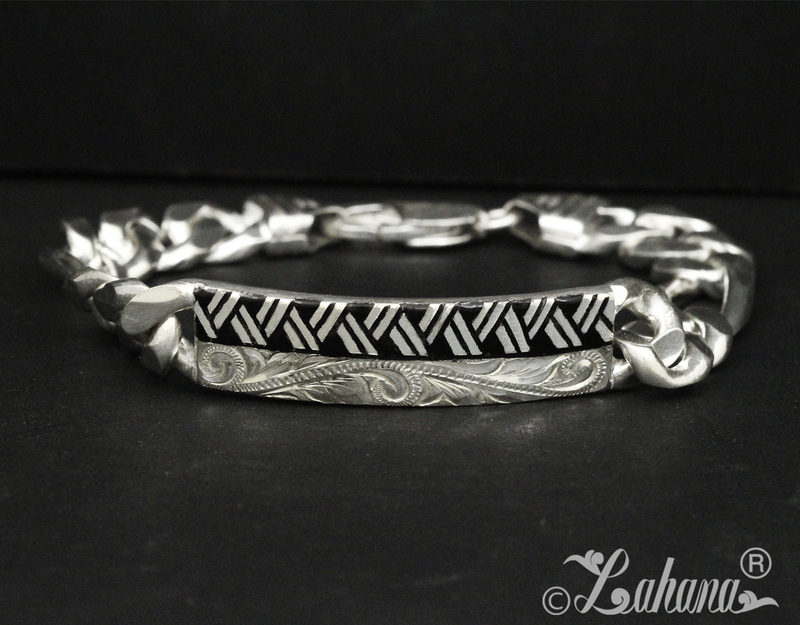 Thom's lauhala creations in fine silver and enamel may be seen as symbols of industriousness, family and community. Diamond shapes are often used to represent the eyes. 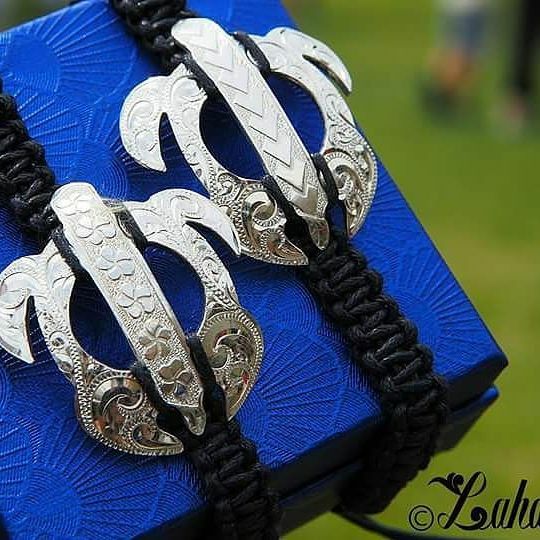 The repeating patterns gracing Thom's handcrafted Hawai'ian jewelry wrap both wearers and loved ones in the protective gaze of angels and guardian spirits. Small triangles were often used to represent shark's teeth. According to legend, mano the shark was not just an aumakua guardian and guide to The People; koa warriors who carried deadly clubs and slashing weapons studded with shark’s teeth also revered him for his speed and ferocity in battle. A gift of jewelry or personal accessory with this pattern may represent best wishes for perspicacity and strength. *The above descriptions are not meant to offer blanket, definitive truths regarding the art, culture or beliefs of the indigenous people of Hawai'i.